Home / Body / What is the Right Skin Care for Your Age? Your skin constantly changes as you age and so should your skin care regimen. Using the same products from your teenage years will not do your skin any favor as you move through your 30s, 40s, and beyond. If you want to put your best face forward regardless of how old you are, it is important to tailor your routine according to your age. This stage is all about protecting your skin and establishing good habits to achieve better skin in the future. This should also include dealing with common skin challenges in your 20s like acne breakouts. Protect skin from the sun. Every morning or before going outdoors, slather on sunscreen SPF. Dr. Sylvia Skin Care offers two oil-free mineral sunscreens with Broad-spectrum protection (Clear Defense SPF 45 and Sheer Defense Tinted SPF 46) that can shield you from UVA, UVB, and infrared rays. Both are suitable for all skin types. Establish the right skin care routine for your skin type. Develop a skin care regimen that works for you. Be sure to include a gentle skin cleanser and toner, and a good moisturizer that suits your skin type. If you have oily skin, use oil-free skin care while if you have dry skin, use gentle cleansers that does not strip moisture. Dr. Sylvia Skin Care of Cutis Laser Clinics offers a number of medical-grade products that can fortify your skin. Fight acne. If you’re dealing with acne breakouts, consult an experienced aesthetic doctor to find out which solution will work best for you. This is because there a number of treatment options that can help like topical medications, laser treatments, and Cutis Anti-Acne Peel. Start preventative Botulinum Toxin (or more commonly known as Botox). If you’re starting to notice frown lines, crow’s feet, and upper lip lines, small doses of Botox can be beneficial. It can also be used to lift droopy eyebrows and eyelids. You don’t have to worry about the treatment giving you a frozen look, as this is never a concern when Botox is administered by a skilled aesthetic doctor. Incorporate serums in your skin care routine. Use an antioxidant or anti-aging serum, especially those with Vitamin C and ferulic acid. One good option is Vitamin C 20% with Ferulic Acid from Dr. Sylvia Skin Care. This helps protect your skin from UV rays, fight free radicals, combat oxidative stress, and offer extra hydration and skin lightening benefits. You can also try the dynamic Fibroblast Growth Factor Serum, which can help reduce eye wrinkles, as well as boost skin density, texture, and firmness. It targets age related break down, reactivating dermal and collagen activity. Schedule for a chemical peel. A chemical peel during your 30s can peel the outermost layer of the skin to regenerate cell growth and rebuild collagen. Cutis Laser Clinics in Singapore offers Cutis Crystal Peel, which is effective in lightening freckles, age spots, and uneven skin tone, giving you a youthful glow. 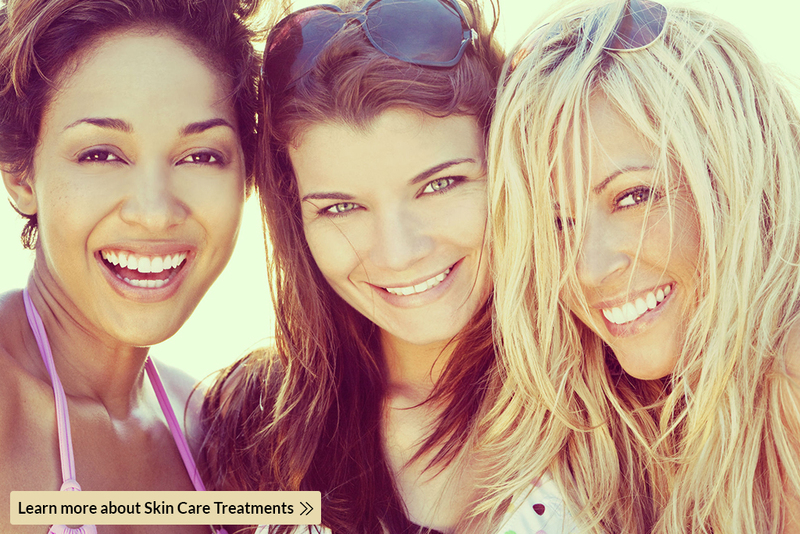 Improve your skin texture with a non-invasive laser treatment. You can also opt for Laser Genesis skin therapy, which is a non-invasive FDA treatment that can help reduce wrinkles, treat scars, shrink pore size, and correct redness and skin damage. At Cutis Laser Clinics in Singapore, Laser Genesis can be combined with Limelight, which is an FDA-cleared treatment for removing pigmentation. Together, they can treat a range of skin issues such as age spots, fine lines, sun damage, freckles, and mottled complexion. At this stage, you may notice significant skin drying, hollowing, as well as visible wrinkles. Dramatic skin changes can be seen during your 40s and beyond, as these periods are marked by significant reduction in the synthesis of elastin and collagen. Consider dermal fillers. Dermal fillers can help deal with early signs of skin sagging or volume loss. You can also turn to fillers to plump up your lips, define the chin, and decrease the appearance of fine lines. At Cutis Laser Clinics in Singapore, we offer two different types of fillers: Hyaluronic Acid (HA) like Juvederm® and Calcium-based like Radiesse® Volumizing Filler. Juvederm® is a FDA-cleared injectable used to improve fine lines, eye bags, and nasolabial folds. It can also fill the lips and increase the height of the nose bridge without surgery. Radiesse®, on the other hand, can give you a refreshed look by plumping the skin and replenishing volume lost over time. It can be used to improve facial lines, add volume to the cheeks and nasolabial folds. Use an anti-aging eye cream. The skin around the eyes is super delicate and is commonly the first place to show signs of aging. ELASTIfirm® Eye Cream from Dr. Sylvia Skin Care is a great choice for improving skin condition and texture in the eyes. This contains potent peptides like Argireline and Syn-Coll™, which can reduce wrinkles, protect and moisturize the skin as well as fight environmental aging. Try non-invasive face lift. Ultherapy is a FDA-cleared non-invasive face lift treatment that can reverse the signs of aging without downtime. It delivers natural-looking face lifting results by using safe focused ultrasound energy. Ultherapy works by bypassing the skin surface as the energy penetrates into the deep layers to lift the skin naturally and stimulate new collagen production over time. In Cutis Laser Clinics, Ultherapy is combined with Exilis Ultra skin tightening. Exilis Ultra is also a non-invasive procedure that provides significant skin tightening benefits further improving elasticity and firmness after Ultherapy. It combines US FDA-cleared radiofrequency and ultrasound that stimulates collagen, contours tissue, tightens skin, and improves the skin’s appearance without downtime. When it comes to taking better care of your skin, it is best to do your own research and talk to a reliable and experienced aesthetic doctor. This is to evaluate your skin and determine which products and solution are right for your age and skin concern. Contact Cutis Laser Clinics today and schedule a consultation with our Harvard-trained doctor, Dr. Sylvia Ramirez, for other helpful skin care recommendation and treatments based on your age.